← Event: Get Your Skates On! January 21st! CCR B Kick Off 2018 With A Bang! Last weekend Central City travelled down to Bridgend for our 2018 season opener. 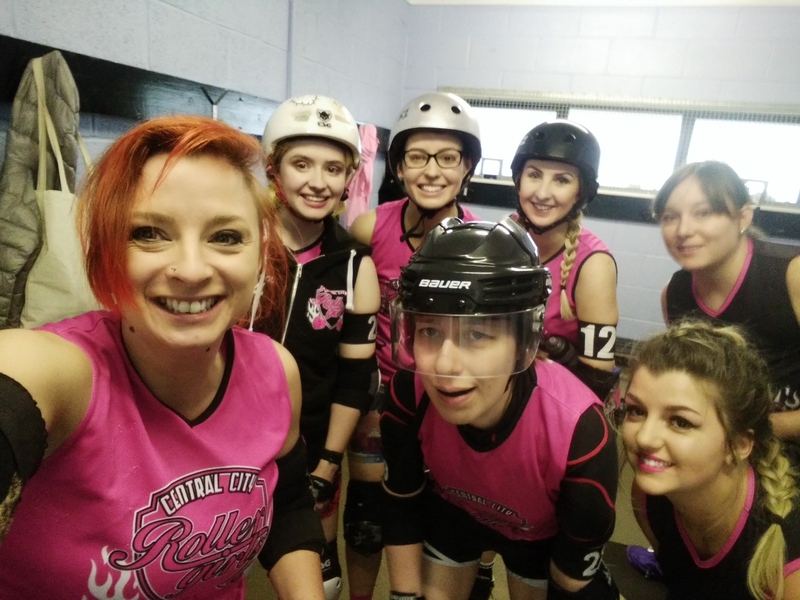 With newly minted co-captains Jeneral and Quad Job at the helm, Central City B was invited to take on Bridgend Roller Derby for the first game of the season. With Bridgend having the home advantage and fielding their A team, it was set to be an exciting game. At the end of a storming first half, CCR were leading 116 to Bridgend’s 55, demonstrating that copious amounts of mince pies over the festive period had not dampened this team’s drive. The second half opened strong with CCR’s defence only conceding 29 points to Bridgend over the next thirty minutes. CCR pushed on, putting an impressive 124 points on the board, finishing out the game with a 240 to 84 point win for the Birmingham team. This admirable performance means CCR B have leapt an astonishing 48 places up the Flat Track Stats rankings, now sitting at a respectable 144th in Europe. Let’s hope this win sets the tone for the rest of CCR’s season. But the roller derby fun didn’t end there. Bridgend hosted a sevens tournament straight after the main event. Maz, Milly Idol, Jeneral, Woo from CCR teamed up with some of our brothers from Crash Test Brummies, Fish, Ad and Brewski, to form the super-team, Crash Central. Crash Central fought hard, coming home with two losses and one win – not bad when half your team has already played a full game! 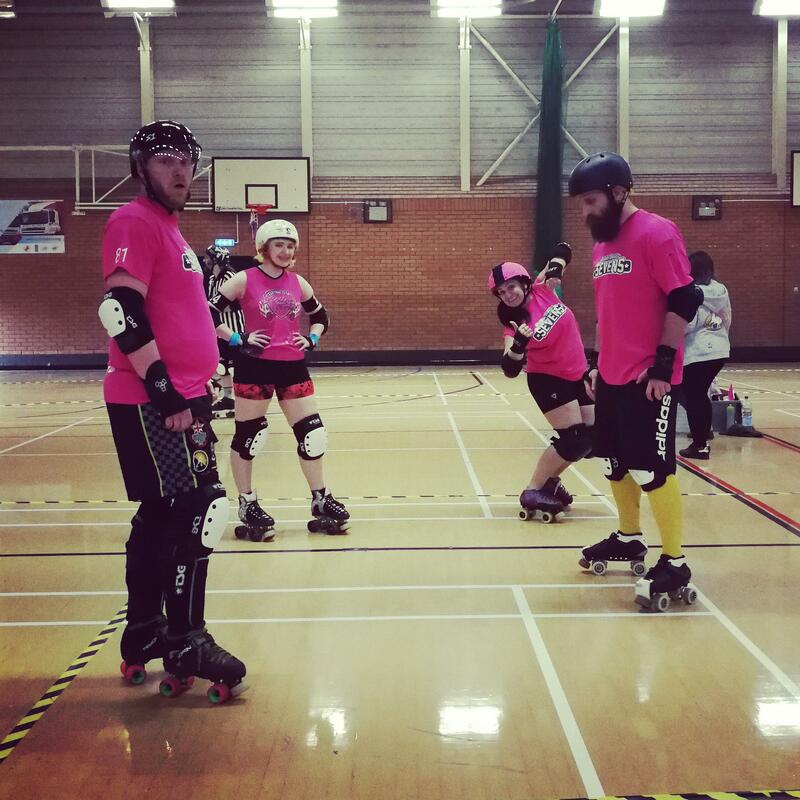 If you’re interested in getting involved with roller derby, check out our FREE Get Your Skate On taster event on Saturday 27th January 2018.